This package can show Paypal account transactions in Laravel Nova. It can manage a card to be displayed inside a Laravel Nova that shows information retrieved from a given Paypal account calling its API. Currently it can display the current balance and latest transactions of the specified Paypal account. 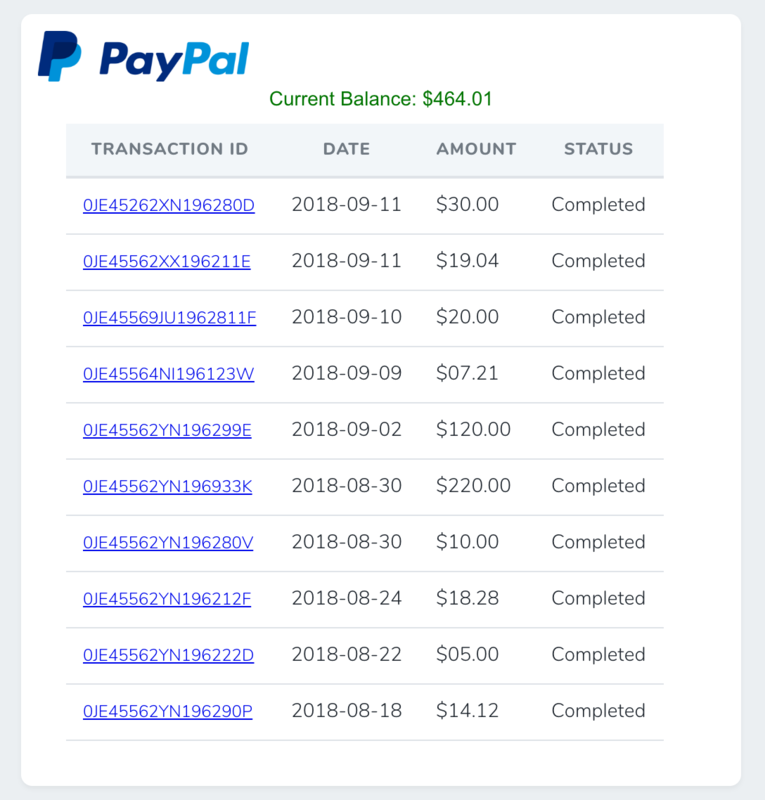 A Laravel Nova card to display PayPal current balance and latest transactions. First you must install naif/laravel-paypal naif/laravel-paypal into your Laravel app.